My sister in law is a vegan, so she will love these. I know she is always looking for new snacks! This is fantastic. Always looking for some healthy snacks. Enjoy Life makes so fantastic treats we love. I am not gluten free, but I'd give these a taste. They all sound good. I think I'd really like those pecans. I'll have to check out the video! Congrats to your sister on her new youtube venture! All of these snacks look delicious and I want to try them all. These look like great snacks for anyone who is trying to cope with being vegan and needs some snack to have on hand. A friend of mine is Vegan, and the things she eats are so strange. I wonder if she has ever heard of any of these brands? If not, I bet she would love them! We love Enjoy Life products. 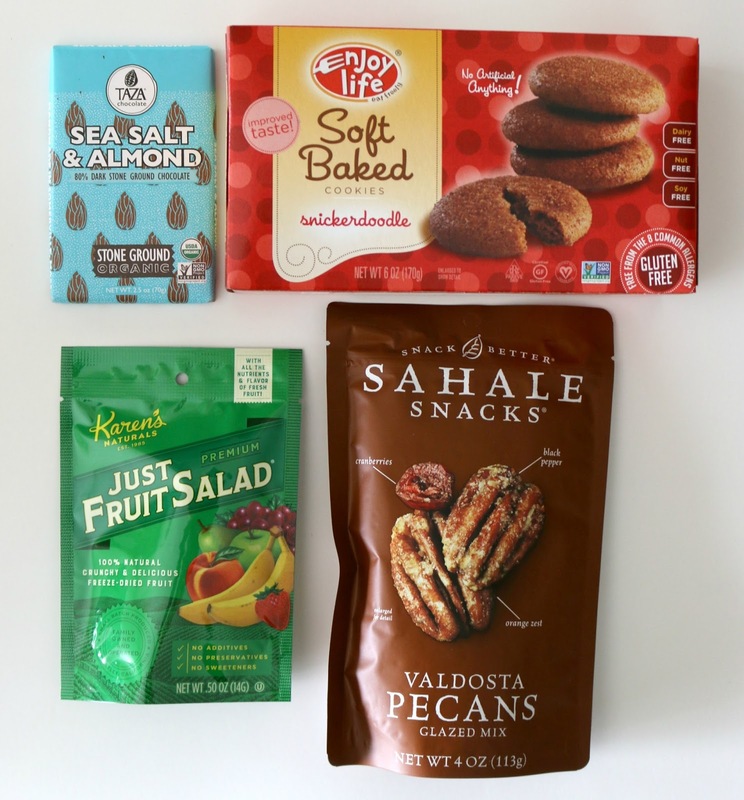 My daughter has food allergies, and she loves their cookies and snacks. I'll have to look into the others for her. I could go for some of those Sahale Snacks Valdosta Pecans Glazed Mix. The black pepper, cranberries and orange zest probably sounds like an odd mix but it's so good. Like OMG good. The other snacks look pretty tasty also. Oh congrats Olivia, I'll be sure to check out your channel. All of this sounds delicious! I used to live off hippeas because we had a huge stash of them in the office. They're just so moreish! We don’t need to eat gluten free or vegan. Few friends have gluten issues. I try keep something around for them. im a huge snacker especially crispy ones! good to know a healthier option! What some absolutely fantastic sounding chips, I have to admit I love a good bag of pop chips, they really are delicious. I have had a few of these, like the Sahale snacks and Pop chips, but I don't recognize the others. Those coconut snacks sound really good! I'll have to check out some of these. It's nice to have some different snack ideas. My granddaughter loves those Hippeas snacks. She's allergic to dairy so she eats a lot of vegan foods. This was a good time, I love chips so that is more my style. I'm not vegan but I would try a few things. All of those snacks sound super yummy! The Enjoy Life Foods Plentils Lentil Chips in Margherita Pizza sounds especially delicious. This is awesome! Now to try to convince me to get a youtube channel. I have been thinking about it for a while, but never fully want to commit! The snacks look great. Always glad to know about new food stuff for vegetarians. That honestly looks like it was fun. I really love ya'll's work! I would go for the lentil chips but then again, that pecan is the winner for me. Lots of tasty snacks you got there. 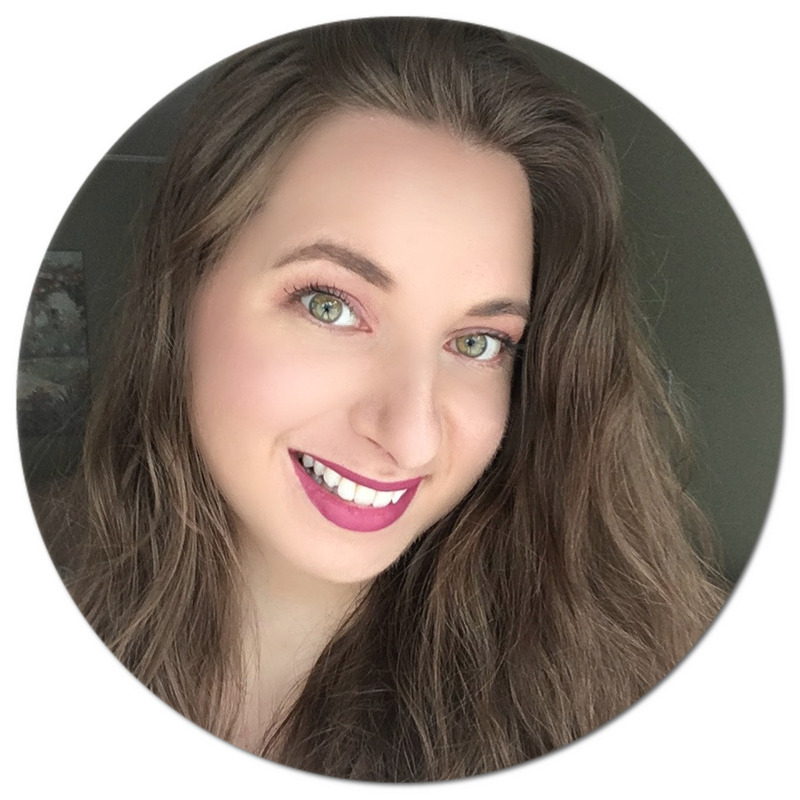 How awesome about your sister starting a YouTube channel! 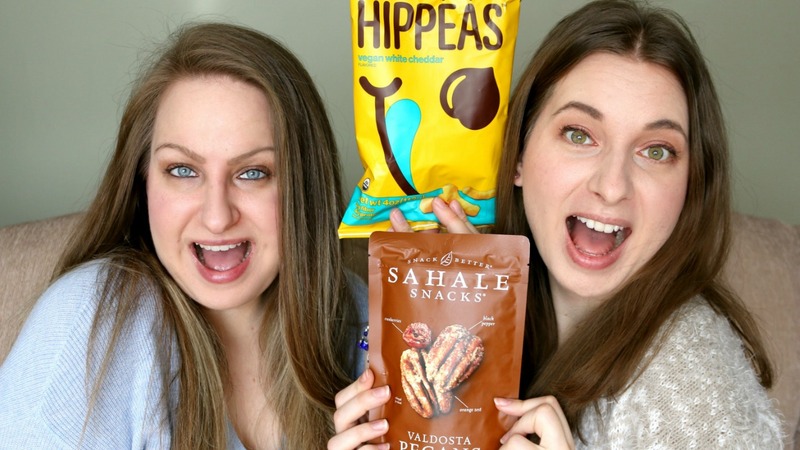 These snacks seem like a great option for people that are vegan and gluten free. I know from others that finding something quick and easy for snacks can be a struggle so these are a really good thing to have on hanf at home or while traveling. It is so exciting that your sister started her youtube channel. I'm going to have to check her out. Knowing my grandkids, I bet they'd love the Popchips Potato Chips in Sea Salt & Vinegar. I would like to try the Plentils Garlic and Parmesan chips. 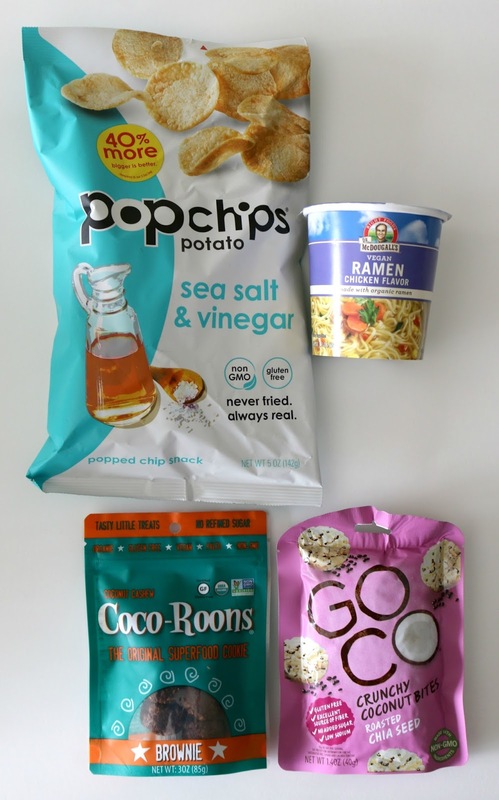 Well seriously, I would love to try all these snacks! They all look delicious and I am glad that there are now a lot of snacking options for vegans/vegetarians nowadays. This sounds like a yummy taste test!! I love that there were things for both of you and I need all of those chips in my life ASAP!! LOL!! So many of my friends are going vegan; I’m like the last holdout. LOL. But I’m certainly interest in trying some of these...the quinoa puffs, the Pop chips,and the Valdosta nuts all look so tasty! These look like great healthy snacks. Im not vegan and dont have problems with gluten, but ill have to check them out! You two are too funny together! Congrats to her on her new channel too btw!! I'm not vegan or anything like that, but I totally eat snacks like these all the time just because I like the way they taste lol. I would love to try all of these! You ladies are funny and i enjoyed your latest video! Oh boy, these snacks are so tempting :) me likey! I have played around with the idea of starting a YouTube channel before. I'm glad she went ahead with it. It must be exciting. I cheat sometimes and have snacks too. I love how you and your sister support each other so much! 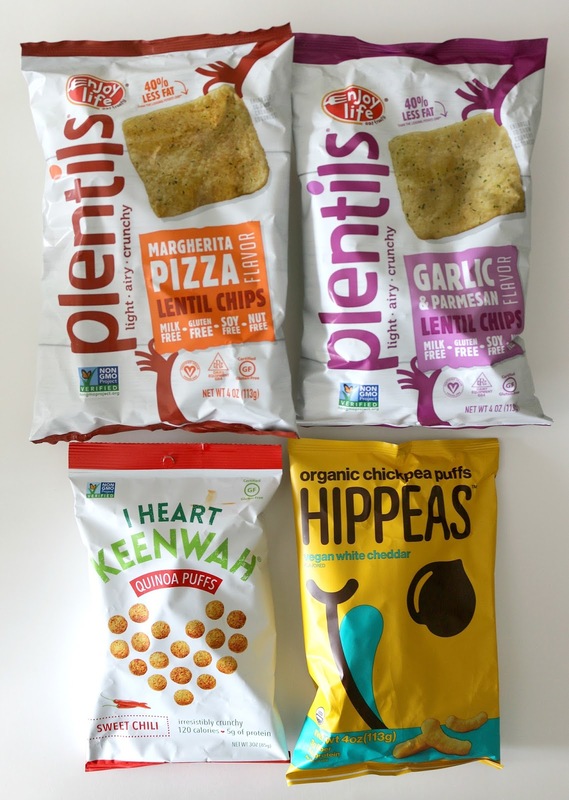 Enjoy Life Foods Plentils Lentil Chips in Margherita Pizza and Enjoy Life Foods Plentils Lentil Chips in Garlic & Parmesan are two of my favorites! I can't wait to binge on them! I have tried Hippies before and I love them! It's amazing how much a small bag fills you up and doesn't add on the calories.